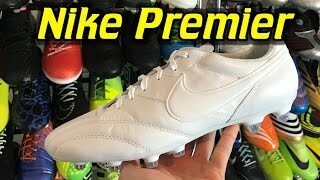 Nike Premier football boots are Nike’s classic equivalent to adidas Copa Mundial and Puma King. 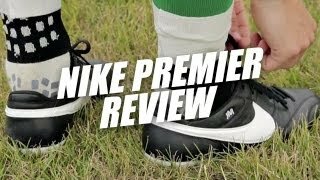 A boot for players who want quality over flashy designs. The boot is made of the quality materials which provide great fit, support and comfort. The upper is made from a soft supple Kangaroo upper, whilst goat leather provides strength and support for the midfoot and heel area. 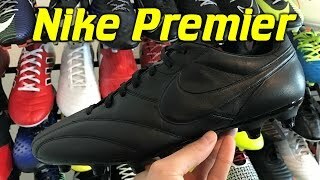 The goat leather used (Lunargata II) is also used on a number of street football shoes and provides a great fit from the first time you try the boots on. The leather molds to the shape of your feet after a few wears and the boot becomes even more comfortable. 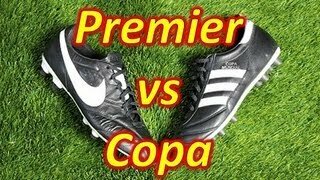 As well as a proving a great fit, this premier leather improves players touch on the ball, helping to cushion the ball so a player can get it under control more efficiently. 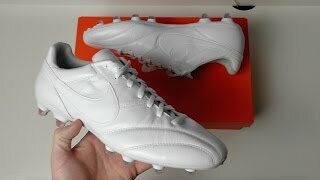 The last (Nikes XI last) is very similar to the last upon which the Nike Hypervenom boots are made (Nike’s X1.1 last). This last has been described as the most complete design for fitting a foot anatomically. The last allows a players foot to get even closer to ball and ground, which helps to provide greater control. 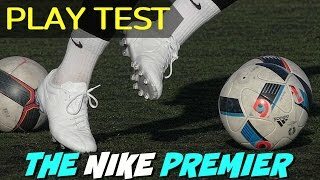 Acceleration is improved by the stability of the midfoot and spring generated from the forefoot of the boot.